HEG Ltd, a premier company of the LNJ Bhilwara group, is today India’s leading graphite electrode manufacturer. It has one of the largest integrated Graphite Electrode plants in the world, processing sophisticated UHP (Ultra High Power) Electrodes. The company exports over 70% of its production to more than 30 countries of the world. The position the company enjoys today in India and abroad is largely due to its commitment to constant up-gradation of its product quality to match international standards and to meet new challenges to win and excel in all situations. In Graphite, their focus is on UHP grade electrodes, and they have expanded their product range and established the same on some of the toughest furnaces for their customers. Today, they have years of experience in supplying quality UHP grade electrodes all over the world. The encouragement from their customers has led them to increase production capacity and become a significant global producer of quality UHP grade electrodes for EAF application. The ability to source the best raw material from sources worldwide and the skills of human resources has been the key to the growth of the company. To maintain the competitiveness, they have set up a Captive Power Plant totaling more than 77 MW. As a responsible graphite electrode manufacturer, they continue to invest in technology, development of new products environment and in the human resources. The Board of Directors of the Company at its meeting held on 26.11.2018 at 12:00 Noon and concluded at 2.30 P.M. has interalia approved a proposal to buy back up to 13,63,636 Equity Shares of the Company, being 3.41 % of the total paid up equity share capital of the Company, for an aggregate amount not exceeding Rs.750 Crores at Rs. 5,500 under the Tender offer route using the stock exchange mechanism. Note- The company's fortunes change when China shut down Graphite Electrodes manufacturing in their country due to pollution issues. The Graphite Electrodes price skyrocketed and HEG Limited has immensely benefited. The Company has already made a profit of close to 1600 Cr in the first 2 Qtrs of FY19 which is 3x as compared to Annualized FY18, shows the demand for the electrodes. The company will easily clock the EPS of close to 700 in the year FY19. On that basis the company currently trading at a mouth-watering valuation of P/E of 6. The company is debt free on the basis of long-term borrowings. 1. Firstly, to be eligible for the buyback the investor should have shares of HEG Limited Buyback offer 2018 in demat or physical form as on the record date [09.02.2019] 2. Once you have shares in demat, you can participate in the buyback process which is opening from [ 08.03.2019 to 22.03.2019 ] by selling your shares through your broker on NSE or BSE. 3. Then on [ 02.04.2019 ], the payment will be given to you for accepted shares and unaccepted shares will be returned to your demat account. I have tendered 800 HEG shares for buy back on around 11th March 2019 through HDFC Securities trading account 1438809. I have not received any amount for buy back and I don’t know how many shares were accepted by HEG. For HEG Buy back i was holding 1 tendered 1 share , contract note by ICICI was genearted for the same. but so far i have not got the money credited into my account. Some1 told me there is buyback in Honda Siel Power. Is it true ? Is it a good time to buy it? Accepted 1 out of 10, My buying price was 2421/- per share, Now what to do with balance 9 shares. Hold or Exit. Anyone please suggest……………………. Not even 1 share extra. AR around 10% only for this investment. Entirely a operator driven stock. STAY AWAY. EXIT & INVEST IN PROFESSIONAL company.. The updation of stocks in your demat account(s) during buyback by the registrar is done purely on the basis of your pan no. . You must be having both the accounts having 1 share each in same name under same pan no. I had offered for buyback from my zerodha and upstox account, each containing one share. However I just received money for one stock, don’t know from where . But, I got a mail from HEG with my client ID for my upstox account which says I had applied for 2 and received one, whereas I didn’t have 2 stocks in my upstox account. Could anyone help? Money got credited today for ONE account. for Other account not yet, showing only deducted shares in buyback. I had offered 5 shares for buyback. Got message that 5 shares have been debited from account, however received only Rs 5,500/- what is the logic ? 1 share accepted. rest will be returned back. Any upstox user here? My zerodha one got accepted, no mail neither money from upstox? HOW TO CONFIRM ON ZERODHA? Single share in all five demat account accepted. How much had you bought all of them for? I think everyone with a buying price of 4000 up got accepted. That means those having atleast 10 shares as on record date got buyback of 1 share. Yes BB acceptance is 10% only for Reserved category. I have received the contract note and settlement is tomorrow . I heard that acceptance may be finalized by today evening and we may get communication by end of the day. Yes. By evening we will get the info. Yes please also update about single share acceptance. Thank you! Did single share get accepted? I’m not sure what that means. Could you explain? Did anyone get a mail about acceptance of shares? No mail for me yet! 60 to 100 percent chances of acceptance of single share. 1. Fractional benefits goes to these shareholders first. Eg holder of 49 shares was eligible for 4 shares not 4.9. 2. More than 50000 have not tendered their different shares in buy back. 0 eligibility sh will get preerence first from these. 3. SH of single digit shares have volume. yes there are chances of acceptance of single share. As per the layest update of 46 lac bidding in retail individual category asgainst 2.04 lac reserved , what does it look like, what will be the acceptance ratio ??? How 46 lac shares can be tendered when the aggregate sh under reserved category is only 20.42 lacs? Is there any chance a single share in demat with zero entitlement will get accepted at this stage? With over 1620000 distinct orders. It is highly unlikely that any extra share would be accepted beyond the entitlement. How there can be 1620000 distinct orders if the total number of share holders for HEG is only 1,23,849? Will there be buyback of any extra shares ? brought 70 @2536 now 6k loss ? Shall i hold ? Please tender all the 70 shares in the buyback and hold the unaccepted shares and sell when the share price comes near 2600. No. It means whatever shares you have tendered have been taken in the system successfully. Now within a week depending upon the Final Acceptance Ratio the shares will be accepted and un-accepted shares will be credited back to your demat. Did you already participate in buyback? You should tender all the shares because additional shares tenders will be considered for AR ratio. in ” letter of offer” form there is one section – 8. NECESSITY FOR BUYBACK, point number – (iv) there is option A and option B. – what is mean by this. if i am not opting for the buyback get a % increase in share holding etc…. . what is the % how it calculate? As buyback indicates company return its shares from shareholders. After buyback total shareholding of the company changes (reduced by buyback no. of shares). It only matters for those who holds large no of shares, as there voting rights % increases, for retailers/small shareholders it doesnt really matters. thanks for reply and time you spend for the same. @Saurabh – i think the share price will increase next week since all of them who sold the shares after the record date will be trying to buy the required number of shares for them to participate in the buyback. I hold 40 shares ( Bought at 2500 ) . Minimum 4 will get accepted in buyback . Considering huge different in current price ( 2200 ) and buyback price price of 5500 , its unlikely that entitlement ratio will go up.. Still keeping buffer in mind, i am thinking of tendering 10 out of 40 shares and keep rest 30 shares for selling in market trade . Please suggest if this approach is correct . This is my first buyback . Any dividend etc proposed? Should we tender our shares now? even though subscrition ratio is more some times few companies took more shares than expected.How is it possible ? As per the acceptance ratio calculation given in draft offer, is it more probable for shareholders holding 1 share to be given priority? I only have 3 shares, My entitlement for buyback was 0 in email received from HEG. So, even if I sell 3 shares at buyback, will it be accepted / on what basis? Acceptance will be depend on total entitled & additional shares tendered by retailers. I hold 3 shares of HEG before record date, but in email by HEG the entitlement shares is 0. Can I still sell the shares for buyback….?? Thanks in advance for being active & helpful..
My entitlement for buyback was 0 in email received from HEG. So, even if I sell 3 shares will it be accepted/ on what basis? I hold 40 shares. as per 10% entitlement , minimum 4 shares will be accepted . To confirm again.. if i sell 36 shares today ( via market trading ) … and then tender left 4 shares in buyback , will all 4 shares get accepted ? Experts please let us know your opinion. Entitlement ratio is 10%, imagine many of the retailers holding single digit shares, their Entitlement shares are “Zero” if their % is may be 5% to 10% retailers quota, in that situation those who holds more than 50 and if they tendered all, their % of acceptance may be 15% to 20%. Its just a wild guess..
1. Entitled shared tendered confirmly accepted. 2. If 100% entitled shares tendered, buyback over. 1. Those shareholders who entitled 0 & tendered there as additional shares, 1 share accepted. The Buyback of Shares from Non-Resident Shareholders Overseas Corporate Bodies (OCBs) and Foreign Institutional Investors (FIIs) / Foreign Portfolio Investors (FPIs), and members of foreign nationality, if any, etc., will be subject to approvals, if any, of the appropriate authorities, including RBI under FEMA, as applicable. It is the obligation of such Non-Resident Shareholders, to obtain such approvals and submit such approvals along with the tender form, so as to enable them to tender equity shares in the buyback and for the Company to purchase such Equity Shares, tendered. The Company will have the right to make payment to the Eligible Shareholders in respect of whom no prior RBI approval is required and not accept Equity Shares from the Eligible Shareholders in respect of whom prior RBI approval is required in the event copies of such approvals are not submitted. 17.4 By agreeing to participate in the Buyback the Non-Resident Shareholders give the Company the authority to make, sign, execute, deliver, acknowledge and perform all applications to file regulatory reporting, if required, including FC-TRS form, if necessary and undertake to provide assistance to the Company for such regulatory reporting, if required by the Company. Non – resident shareholders can avail beneficial provisions of the applicable DTAA entered into by India with the relevant country in which the shareholder is resident, but subject to fulfilling relevant conditions and submitting necessary documents prescribed under Section 90(4) and 90(5) of the Income Tax Act. From the Above, it is clear now you can participate in Buyback. However, your participation is subject to the approval of RBI under FEMA( Foreign Exchange Management Act) as this is the clear cut case of Foreign Exchange. So you need to contact the ICICI Direct they will provide you with the forms need to be filed along with a tender form for participation in the buyback. 1. Can I offer 30 shares for buy back? 2. Where to submit the tender for for D mat holdings? 3. Can the shares be tendered in on line mode? If yes , How? 3. If your broker does not provide buyback window, submit tender form to your broker. Tendering shares through DP account is enough? or should we fill and send tender form (which is sent by email)? heg letter of offer; retail investors 10% accepatnce ratio. Entitlement ratio 10%. Acceptance may be better. SUBJECT: CASH OFFER TO BUYBACK UPTO 13,63,636 (THIRTEEN LAKH SIXTY THREE THOUSAND SIX HUNDRED AND THIRTY SIX) FULLY PAID-UP EQUITY SHARES OF FACE VALUE OF ` 10/- (RUPEES TEN ONLY) EACH, REPRESENTING APPROXIMATELY 3.41% OF THE TOTAL NUMBER OF EQUITY SHARES IN THE ISSUED, SUBSCRIBED AND PAID-UP EQUITY SHARE CAPITAL OF THE COMPANY AS AT 30 SEPTEMBER 2018, FROM THE SHAREHOLDERS / BENEFICIAL OWNERS OF EQUITY SHARES OF THE COMPANY AS ON THE RECORD DATE I.E. FEBRUARY 9, 2019 ON A PROPORTIONATE BASIS, THROUGH THE “TENDER OFFER” ROUTE AT A PRICE OF ` 5,500/- (RUPEES FIVE THOUSAND FIVE HUNDRED ONLY) PER EQUITY SHARE FOR AN AGGREGATE AMOUNT NOT EXCEEDING ` 750,00,00,000/- (RUPEES SEVEN HUNDRED AND FIFTY CRORE ONLY). That is the content of my email. Received email as letter of offer. I am holding 60 shares in record date & 6 shares are confirm for me. for 10 shares the Entitlement is 1.
so for the shares between 1-19, the entitlement will remain 1 only. if you were holding 20 shares then it would have been 2. Huge increase in the number of Retail Shareholders. The number of retail shareholders (~ 2.19 lakh) is more than total number of shares reserved for Retail Category (~ 2 lakh). For sure people who are surrendering not a single share will be accepted beyond the entitlement and very few people holding 1 share will be able to dispose their share in the buyback. 5 shares entitlement for 51….does it mean atleast 5 shares will be accepted? Let us wait for the ” Letter of Offer ” to come to know the minimum Acceptance Ratio, the same will come in a couple of days. The AR will be low as there is a huge difference in current market price and buyback price. The AR may be in a range of 10-15%. Influential Factors- Please read the report here which was published by CNBC in Dec 2018, regarding China carbon industry to face severe overcapacity -association. The HEG rose to glory because of shutting down of Electrode manufacturing plant in China which were producing Electrodes by a conventional method of Blast Furnace technique which was causing a lot of pollution. But now China has slowly shifted to a new method of EAF which definitely reduce the demand going forward. Secondly, the Prices of Electrode are already at peak, so going forward margins won’t rise from here on as we have seen in the last 2 years. Strategy, try your luck in buyback first. Then hold remaining shares with a stop loss of 1500 as we have seen in the past if any positive news comes to these shares they zoomed to 20-40% in no time. Try to exit position whenever good news comes. Could you pl tell us when we can know the tentative acceptance ratio of HEG? Will it be during BB tendering time period? Is buyback accepted by sebi.any news..
Is Heg BuyBack news confirm that it will open on 8 March and Close 22 March. ? for e.g. i have 10 shares in 10 different d-mat account each 1 account consists 1 share of HEG LTD and i apply for buy back from all accounts then what is probability of not acceptance for buy back? The probability of 1 shares acceptance in HEG is very thin. To the best of my knowledge & experience SEBI made it compulsory for all listed co. to accept atleast 1 share in buy back for each identical d-mat account. 19.7.1 Full acceptance (100%) of Shares from Small Shareholders in the Reserved Category who have validly tendered their Shares, to the extent of their Buyback Entitlement, or the number of Shares tendered by them, whichever is less. 19.7.2 Post the acceptance as described in paragraph 19.7.1 above, in case, there are any Shares left to be bought back from the Small Shareholders in the Reserved Category, the Small Shareholders who were entitled to tender zero Shares (on account of fractional entitlement), and have tendered additional Shares, shall be given preference and one Equity Share each from the additional Shares tendered by these Small Shareholders shall be bought back in the Reserved Category. In order to ensure that the same shareholders with multiple demat accounts/ folios do not receive a higher entitlement under the Small Shareholder category, the Company will club together the Equity Shares held by such shareholders with a common PAN for determining the category (Small Shareholder or General) and entitlement under the Buyback. In case of joint shareholding, the Company will club together the Equity Shares held in cases where the sequence of the PANs of the joint shareholders is identical. In case of Eligible Shareholders holding Equity Shares in physical form, where the sequence of PANs is identical and where the PANs of all joint shareholders are not available, the Company will check the sequence of the names of the joint holders and club together the Equity Shares held in such cases where the sequence of the PANs and name of joint shareholders are identical. The shareholding of institutional investors like mutual funds, pension funds / trusts, insurance companies, etc. with a common PAN will not be clubbed together for determining the category and will be considered separately where these Equity Shares are held for different schemes and have a different demat account nomenclature based on information prepared by the Registrar as per the shareholder records received from the Depositories.Further, the Equity Shares held under the category of “clearing members” or “corporate body margin account” or “corporate body – broker” as per the beneficial position data as on Record Date with common PAN are not proposed to be clubbed together for determining their entitlement and will be considered separately, where these Equity Shares are assumed to be held on behalf of clients. thank you so much bro. fro resolving my whole concept/query. you are great. happy to learn more. Would you pl like to highlight this issue that record date of Ajanta Pharma was 12th Feb but today it got approval letter from SEBI, whereas HEG did not received any approval of buyback when it’s record date was 9th Feb? Do not understand this. There is no such correlation between Record Date and publishing the ” Letter of Offer “. Every company deals differently. SO ya wait for some more time, I think in the first week of March the letter of Offer will come. Is entitlement ratio & acceptance ratio for buy back is synonym of each other? 1. Entitlement ratio calculated by registrar (before buyback) to entitle fix no of shares to be confirmly accepted from investor, seperate entitlement ratio calculated for retail & general category. 2. There is no official declaration of Acceptance ratio. Company only describes no of shares tendered by retail / general investors & %age of response against reserved for category. From total response one can not calculate acceptance ratio. Acceptance ratio may vary investor by investor depending on no of shares (including additional) he tendered in buyback, exception only in case where shares tendered is less than reserved i.e. 100% acceptance. If calculated as per response 1098084 / 5217000 it should be 21.05%. But actually it is not 21.05% for investors. very nicely explain bro. thank you for giving your valuable time & putting efforts in explaining query. thank you. what is expected acceptance ratio for heg buy back for retailers? any related ans to query is appriciated by word of thank you. What is Entitlement Ratio Expected for Heg………………. Buyback tender opening date approx in 1st week of Mar. Pl read today’s report on HEG in money control where it is clearly mentioned that fair market price would be around 3900rs per share which is 90% above from current market price. What’s fair market price? Will the buyback value be changed from 5500/share to this fair market number? Never. It is already fixed at both exchanges. Could we expect some 15% to 20 % rally in HEG when buy back tender date will be announced? I had 30 nos share on record date and after that I have added again 10 stocks and now total holding is 40 nos as on date. Now my question is how much max number of share should I tender ? 30 nos or 40 nos?? I’m new in equity investment, so don’t know – it generally happens with good companies, some % of rally on declaration of buy back? When the mail for buy back is expected from HEG / registrar? I have not yet got any official intimation. Please inform the process of applying to buy back offer of HEG. 1. Entitlement Ratio based on the Record date. 2. Opening and closing date of Buyback. 3. Final settlement date of the buyback. So please wait for the same to come. We will update here once it will come. The company also send the same to email to eligible shareholders. What is Entitlement Ratio Expected for Heg. Do anybody have math…………..
Techno electric ka buyback date kab aayegi? HEG posted terrific results. But it is difficult to understand why the share didn’t do well today. Are institutional investors playing a spoil sport, taking away retail investors hard earned money and creating volatility?! Anybody received mail on buyback from registrar? Can we calculate AR at this stage if yes what would it be ? Ex date of heg is 7/2 and record date is 9/2. I bought it on 7/2 could I eligible for buyback or not.? When will I get mail from HEG regarding buyback? View: Strong result. YoY revenue and profit increased. Company is engaged in manufacturing of graphite electrodes, which are used by manufacturers of steel. Graphite electrode demand in international market is currently highly volatile due to this the share price is also volatile. Company is currently trading at annualized PE of around 4 which is very fair as per Industry benchmark. Company ROE and ROCE is around 80% and 90% respectively. Shri Ravi Jhunjhunwala has been re-appointed as Managing Director of the Company for period of five years w.e.f. 13th February, 2019. Shareholders through their Special Resolution by way of Postal Ballot approved the Buy Back of Equity Shares of the Company on 27th January, 2019 aggregating to Rs. 750 Crores, at a price of Rs. 5500/- Per Equity Share. Share high price 4900 and now 2100 almost 55% corrected and out of which 45% corrected in last 1-2 month. Current price is good to hold as far as Graphite electrode demand is concern. I hold 25 shares as of record date 9th feb 2019 , Am i eligible for the buyback? If yes then will i receive the further communication mail from HEG / NSE? I hold 50 shares of HEG as on 9th feb2019. I did not got any mail from NSE/ HEG for buy back till 10th Feb . What can be the reason / what should I do now?? Dont worry, It will take time, may be 10-15 days or even a month after record date. Once buyback dates announced you will receive mail from registrar containing details about your entitled shares, letter of offer & tender form. hi, the closing price for heg on 8th feb 2019 was 2,374 rs and accordingly the limit for retail investor is stock worth 2,00,000 Rs and hence, a person can hold 2,00,000/2374= 84.25 and so if a person holds less than 84 shares then is he/she eligible for the buyback? As defined under Regulation 2(i)(n) of the Buyback Regulations, a “Small Shareholder” is a Shareholder who holds Equity Shares whose market value, on the basisof closing price on Stock Exchangesas on Record Date, is not more than ₹2,00,000/-(Rupees Two Lakh only). As on the Record Date, the closing price on [•], having the highest trading volume was ₹[•]per Equity Share, accordingly all Shareholders holding not more than [•]Equity Shares as on the Record Date are classified as‘Small Shareholders’ for the purpose of the Buyback Offer. The closing price as on 09.02.2019 would be the highest Volume Price of the day. 15% of total buyback shares reserved for small shareholders. Generally entitlement & acceptance ratio of small shareholders is more than general category. Technical if I sell shares on ex date I must be eligible for buyback right? But in case of HEG , I sold shares on 7th feb(ex date). Received msg from CDSL about share debit on 8th feb. Is this normal? Will I be eligible for buyback in this case? No, i don’t think so. Ex-date was 6th since 9th is a holiday. Your settlement will be done on 11th. Do not check daily. We will intimate it on InvestorZone once it is finalized. Buyback remains opens for 12 days so do not worry. Everyone can Participate in Buyback who has Purchase till 6th Feb and value under 2,00,000 as retail investor.You will received email from NSE/HEG to participate in Buyback.After that Contact your Brokerage Firm like Zerodha , IIFL , SMC , 5paisa etc… to add you in buyback process. i have 80 share of heg in my demat a/c to-day how much shares are eligible to bye back? Public retail Shareholding <2lacs category is 12.34% as on 31.12.2018 as reported by company in return furnished to Authorities. Looking to this what could be the ratio of acceptance for retail shareholders. Should one participate as retail or general investor? As per my understanding, acceptance ratio far retail investor is quite higher than general. For instance: 30% of 2lac is quite higher than 3% of 3lac. Should a general investor reduce/sell his some quantity to become a retail investor. What u guys think? Apply as a Retail. Generally, the general category have less AR. i have value of my shares equivalent to 1.85L today,if shares increase tmrw and day after,will i be in retail or general category ? because today i last date for shares to be in demat.Please clarify. for buyback category Retail or General, which price is considered Rs.5500(Buy back price) or market price as on Record date ? Highest Volume Market Price on the Record date. i have value of my shares equivalent to 1.99L today,if shares increase tmrw and day after,will i be in retail or general category ? because today i last date for shares to be in demat.Please clarify. valuation calculated on closing price on record date i.e. Friday 08-02-2019 (as market closed on 09-02), if your valuation on Friday below 2 lacs, then retail otherwise general category. so today if i remove shares more than 2L will i ge eligible fo retail category ? I hope, today is not the last date to have shares in the demat account. today is last date for buying shares for buyback. Who bought shares today (will be credited on 08-02-2019 evening in demat) will be eligible for buyback alongwith who already holds shares in demat. It will take tomorrow closing price. If I have 20 shares,avg is 3798 then how much shares will I be entitled to buyback? It will depend total no.of shares holding by small shareholders (holding upto 2 lacs) on record date (09-02-2019), will be declared in letter of offer. Also u will get mail from registrar regarding your entitled shares. Somewhere in communication block a link is given for knowing the record date of 9th February 2019 for this buy back offer but the date has not been indicated in the respective column against the offer. Why is it so. Please clarify if the date/news is not confirmed. The date is confirmed and those who will buy today will be eligible for buyback. Tomorrow selling might happen for the investors who participated only for buyback purpose. They will buyback again the required quantity after the announcement of Entitlement ratio. Will this be informed prior ? Today 5th Feb is ex-date or tomorrow 6th feb is ex-date to be eligible in buyback? With OP Ajmera coming in as new CFO, the situation could improve for HEG share value. Retail invertor 2 lakh is calculated on market value on record date or Buyback value of 5500? Is there any hope of good Q3 results? What could be the expected acceptance ratio of Retail investor of 2 lakhs? As previously said, Dont play ONLY for buyback, as entitlement & acceptance ratio may not be favourable. If i buy stocks today, will i be eligible for buyback? Buyback dates will be announced by the company (still not declared), buyback may take 1-2 months after record date. You will receive mail from registrar containing letter of offer, tender form & your entitled no. of shares details for buyback. Entitled shares means no. of shares that confirmly accepted from you as per entitlement ratio. You can tender shares through buyback window directly (if provided) or through your broker by submitting Tender Form. Every one is saying that 09 Feb 2019 is record date for BuyBack. It’s that official or not? If yes, why it is not updated in buyback procedure. Wizard ji, what is your opinion? You are also mentioned the same date and also seen another comment from you wait for record date. Refer below link for official announcement from HEG on record date “9-Feb-2019”. Anyone, any updates on acceptance by SEBI? Is it true so I apply it?? It is rare that acceptance ratio will be 100%, it is advisable that hold minimum 5 share while apply for buyback. If acceptance ratio will be 20% at least 1 share will be accept in buy. Where it is mentioned that minimum 1 share have to be accepted?? At least, if it is 0.7 share, then, it may be considered as 1 share, if it is rounded off. In your example, you have calculated 36 shares for buyback i.e. 200000 / 5500 = 36. So to qualify in retail category my number of shares have to be less than 36 only? or if on record date the closing price of the stock is Rs. 4000, then i will be eligible to tender 50 shares also in retail category i.e. 200000 / 4000 = 50 ? Yes. You would be eligible if the price is 4000. The Calculation of 36 shares is the maximum share for buyback purpose to be on safe side. Any calculations for what can we expect for entitlement and acceptance ratios? I have close to 100 shares, so I want to sell some to be considered in retail category for buyback. My question is can I sell on 6th feb for that, Since record date is 9th Feb (Saturday), so ex-date should be 7th feb, right? Technically there should not be an issue if you sell on 06.02.2019 but to be on safer side sell on 05.02.2019. Actually, Shares are reflected in T+2 days and Saturday is a holiday. If I have 25 shares then how much shares will I be entitled to buyback? Wait for Record date to come. Since 9th is Saturday, that is why Ex-date for some one who wants to participate in buyback is 6th. T+2 = 8th shares will be in his account and he will be entitled. Similarly for me, If I sell on 6th, I won’t have those shares on 9th. I have 60 heg shares, I will be considered as retail or standard client? So how many can I offer for buyback. Its mean on 6th Feb what ever the price is for exp 3200 so we should have (200000/3200 = 62.5) mean if we have 62 shares we are entil as retail right ??? I mean retailer or general category..
Those who holds shares on record date eligible for buyback. Who holds shares below 2 lacs as per closing share price on record date considered as retail / small share holder others as general category. Generally there is huge difference of entitlement/acceptance ratio between Retail & General category. HEG Buyback Receives Shareholder Approval. What Next? After plunging 20% on Monday, HEG Ltd was again locked in a 10% lower circuit yesterday. After the company’s latest announcement, the stock price has rebounded 9%. From the prevailing stock price level of Rs 2,140, the buyback price of Rs 5,500 offers a premium of 157%. After the market hours yesterday, HEG Ltd published the results of the postal ballot for the shareholder approval of the buyback. 99.89% of the votes were in favour of the buyback. As such, the buyback has now received the prerequisite shareholder approval. As per the buyback regulations, once the voting process is over and the buyback proposal is approved by the shareholders, the company undertaking the buyback through the tender offer route is required by regulation to make a public announcement within two working days from the date of declaration of results of the postal ballot. This means that HEG should make a public announcement of the buyback latest by 31 January 2019. A company making a buyback offer is required to announce the record date in the public announcement. As you are aware, the purpose of the record date is to determine the entitlement and the names of the shareholders who are eligible to participate in the proposed buyback offer. Thereafter, the company shall file a draft letter of offer within five working days of the public announcement. As per buyback regulations, the company shall not withdraw the offer to buyback after the draft letter of offer is filed with SEBI or public announcement of the offer to buyback is made. So, once the public announcement is made, we can be certain that the company will not withdraw the buyback offer. So, some of you may have this question: Could the HEG buyback be rejected by SEBI, just like the L&T fiasco? It’s certainly a very valid question. So, let’s check if the company fulfills some of the key conditions and requirements for buyback of shares. As per buyback regulations, the funds deployed for the buyback cannot exceed 25% of the aggregate of the fully paid-up share capital and free reserves of the company. The aggregate paid-up share capital and free reserves as per the latest audited standalone balance sheet of the company as on 30 September 2018 is Rs 3,175.90 crores. As per the 25% limit, the funds deployed for the HEG buyback cannot exceed Rs 793.97 crores. The maximum amount proposed to be utilized for the buyback, does not exceed Rs 750 crores and is therefore within the limit of 25% of the company’s fully paid-up share capital and free reserves as per the latest audited financial statements of the company as on 30 September 2018 (the latest audited financial statement available as on the date of board meeting recommending the proposal for the buyback). The other important condition is that the ratio of the aggregate of secured and unsecured debts owed by the company after buyback shall not be more than twice the paid-up capital and free reserves. In other words, the post-buyback debt to equity ratio should not exceed 2 times. This is the condition that L&T failed as SEBI considered the consolidated numbers and not the standalone ones. As per HEG’s consolidated balance sheet as on 31 March 2018, the company had zero long-term borrowings, Rs 297.45 crores worth of short-term borrowings, against a networth of Rs 1,907.5 crores. In other words, the consolidated debt to equity ratio as on 31 March 2018 was 0.16 times. In its September 2018 quarter conference call, the management has said that the company had become debt-free with no long-term or short-term debt. So, given this, it seems quite unlikely that the company’s post-buyback debt to equity ratio would cross 2 times. Despite all the adverse conditions that have currently engulfed HEG – the sectoral headwinds for graphite electrode manufacturers as well as the untimely death of one of its key management personnel, the buyback seems to be on track so far. Nonetheless, it is important to remember that the plunging stock price is a big risk to the buyback trade as it would make the exit difficult. One needs to tread with caution at this juncture. If you have already bought some shares of HEG, I would suggest not to rush to buy more shares to average your cost. If you were planning to buy the shares, but haven’t bought yet, I would like to remind you this is a high-risk trade and may not be suitable for all investors given the extreme volatility in the stock price and the adverse sectoral conditions. Even if you have the appetite for high-risk trades, I would suggest a very small allocation so that if the trade unfolds against our expectations, the hit is not too big. Also, if you plan to invest a small quantity, do not put all the money in one go. It is better to take a staggered approach. Superb explanation. Thank you sir. I have had 100 shares of which I sold through ICICI Securities platform 18 shares TODAY , the 07th February, Thursday. Shall I be eligible to get into the RETAIL Category? Please tell me How much maximum time a company can take to credit money of shares bought back in buyback process? Does it makes sense to buy 50 shares now? HEG UC with more than 3 lakh buyers. Sir, will you please inform me that what percentage of total holding of shares company will buyback? Mr. Wizard, Since the record date is announced; Is there any chances of change in Buyback price of Rs.5500/- per share? If I have 45 shares in one DMAT account & 21 in another DMAT account ( both owned by single owner) – then can I participate in buyback procedure? Which share price they consider to account 2.00 lac per person- purchase price or market price? Yes u can participate, no. of shares clubbed by PAN No. & then categoried into General & Retail. What is last date for eligibility in HEG buyback?? Sir, I hold 150 shares at 3758/-. I did receive letter for eVoting but I didn’t eVote through NSDL link provided. Can I still offer my shares in this buyback? Or only those who took part eVoting are eligible? If not retail category, is there a HNI category? If yes, what s the difference? The price erosion makes buyback juicy. I want to buy below Rs 1500. Just one more lower circuit would be pretty good. I have 40 heg shares with average price 3514.53 shares bought from dec onwards. . I couldn’t submit my e_voting for buy back. I can doing buy back and what shall I do? Kindly advice. Tender your shares in buyback. HEG is down today by almost 15% and trading at 2350/-. Can we accumulate more at this price for buyback or just hold and watch? Do not average the falling knife. Let it settles down. L&T had reduced buyback from 1500 to 1475 while declaring record date. Now the way HEG has fallen that gap with current buyback price is almost 50%, there could be possibility that HEG may also reduce buyback price while declaring record date. Please do read both the Postal ballots carefully. L&T had communicated that they will do buyback at maximum price of 1500 and board will decide the price later. Whereas HEG has said in Postal Ballot that they will do buyback at 5500. Whether the Resolution is approved or the timing of buyback etc. are separate matters but HEG cannot revise price. available as on the date of Board Meeting recommending the proposal of the Buyback). Thanks for long clarification Mr Gaurav. As per CNBC , there is a relief for HEG buyback. HEG management has clarified that they will finish the buyback by March. Graphite electrode maker, HEG Ltd, on Friday said share buyback offer worth Rs 750 crore is on track and will be completed by March 2019. Last year, the board of directors of HEG approved a proposal to buy back up to 13,63,636 shares of the company, being 3.41 percent of the total paid up capital of company for an aggregate amount not exceeding ₹ 750 crore. “The only thing that has changed in China in the last 18 months is that it doubled electric arc furnace production from about 50 million tonne to about 100 million tonne. China’s electrode demand has subsequently doubled from 50 to 100 million tonne. In anticipation of that, Chinese companies are building new graphite plants and expanding their existing plants. The entire metal space including aluminium, copper and steel are slowing down and the world is slowing down, which is nothing specific to us. So obviously, there is some sort of uncertainty about the future,” he added. I am a new entrant of heg shares, shares bought from december.18 end onwards. I understand that the co. hasn’t announced record date. I couldn’t submit my e_voting for buy back. Can I park in buy back now and what shall I do? Kindly advice. How many shares you have bought and what price. HEG and Graphite are falling as new large capacities are coming up in China. First, we need to see how much deep the price of the share will fall. Buyback and all we will be tackled lately. HEG Buyback likely to cancelled. It is only assumed, not 100% sure. People in the market are assuming as there is a tremendous delay in filling Draft Letter of Offer. I personally feel the company will not cancel it. Rest will come to know shortly. Huge increase in the number of individual shareholders from 58,451 in Sept-2018 to 1,23,823 in Dec-2018. Lot many people seemed to have bought just 1 share. Most of them would be disappointed as it is unlikely that all those holding one share would get successful buyback. hey …can anyone tell me about heg buyback. Still, company has not issued a Letter of Offer. The same will be updated here once the LOF will be issued. So keep visiting here for latest updates. * i hv demat account with zerodha in cdsl …so hw can i participate in evoting in heg…as it is showing only nsdl…. * differnce between evoting and tendering shares..
Mene Suna he ki Bosch buyback me Kai logo ne 1 share demate me kharida tha. To unka tender ho gya. To heg aisa ho Sakta he kya. Bosch buyback me participate karne vale please reply. Sorry if this is a foolish question. I am interested in buyback of all the available HEG stocks, so i should be giving assent to ‘Buyback’ resolution and dissent to ‘Investment/Loan/Securities’ correct? I don’t have much knowledge on the other one. I just opted YES for both. What is the record date? can i buy this share now to participate in Buyback? e-voting is in process. Record date is not announced yet. Email is just an information. you can direct use the below link for e-voting. you must use your DPID & Customer number and for password you can use OTP ( I did the same and participated). Hope this will help you for your requirement. If you broker is in CDSL you must check with evotingindia website, if it is NSDL, you must check with below link belongs to NSDL. Hope you can explore easily about your login ID and OTP fur login. About BuyBack, YES. Other one I am not sure. I don’t have much knowledge on it If say YES or NO. I just mentioned YES for both. I just participated/completed favoring the buyback through e-Voting system. The Company had completed the dispatch of Postal Ballot Notice dated 26th November, 2018 to all the eligible shareholders of the Company, by Friday, the 28th December, 2018. At current market price of HEG there is 45-48% buyback premium. Assuming the acceptance ratio is in the range 15-20%, gain on buy back comes down to 10-11%. Now the only thing left is the unsold shares. Can we expect a decline in the price of HEG as it happened in case of m-phasis whereby investors are going to incur to net loss? Chances of downside in the share price is less. The Graphite India and HEG both have bounced back from their support. HEG not breaking 3500 and Graphite not breaking 700 shows good buying is coming at these levels.So risk and reward ratio for buyback at CMP would be good. Received an email about e-voting. it will start from 29th Dec 2018 9AM & ends at 27th Jan 2019 5PM. Yes. You would be eligible. you are eligible under general category (worth is around 3.6L as per today’s market price). You will not be treated as Retail investor (2Lc limit). Only Possible option is share value must be below 2000 on record date (no one will look forward for this price I hope). Grey market buyers are giving 600 rs for heg buyback on 1 share. Will one share surely going to be accepted? HEG share is crashing,is it effect of not announcing record Dt? No. As per CNBC news, China is oversupplying Graphite Electrodes. This is the reason Graphite India and HEG both are falling. Fangda Carbon New Material, China’s biggest producers of graphite electrodes, surged 5,267.7 percent in 2017 from the year before to 3.6 billion yuan ($521 million), while average profit margins in the Chinese carbon industry last year jumped more than 3,000 percent, according to CCIA data. China is expected to have graphite electrode capacity totaling 1.5 million tonnes by 2020, up 66.7 percent from 900,000 tonnes in 2017, said Sun. That will exceed the demand of fewer than 800,000 tonnes in 2020. Plus the price of raw material which is needle coke is also increasing due to supply pressure. My personal view is HEG would be a long and protracted from buyback purpose. Just like Just Dial which has taken almost 6 months for the entire process to complete. Its been one month from buyback announcement and the company has not yet even initiated Postal Ballot for shareholders approval. There would be quarterly results in between and a lot of volatility till the process completes. if 1 share is fully eligible for acceptance then it is buying opportunity with good profit. plz check applicable rules and share. Is it true that if any one has only one share and he tander in buy back , company have to accept that ? Good question, needs an introspect. Shore holder having one shares or to be more generalised, those who have ‘ZERO’ entitlement, are prioritised just below promised entitlement. Let’s say if the entitlement is 1/10, all the shareholders having 1-9 shares will have zero entitlement and they will be prioritised when they tender their shares. Keep close watch on stock prices with stop loss on holdings. Stock has run more than 30 times within 2 yrs. Agree with P.M but fundamentally company is poised for more growth in the future. The Steel sector is doing good in India which is positive for the stock. HEG manufacture High Power electrodes which are used in the manufacturing of stell via EAF route. The demand for electrodes in European countries is huge. As per management, the only concern is rising prices of Raw material which is Needle Coke. Apart from graphite electrodes, needle coke is increasingly being used to make lithium-ion batteries, used in phones and electric cars, further tightening availability for the steel sector. If HEG able to transfer these rising cost to the suppliers than there would not be any pressure on OPM and NPM. I must say we will not able to see the kind of return stock has given in the last two years going forward due to poor sentiments of the market. However, if you buy this stock as an investment then this will not disappoint you. Views are for those who invest for buyback purpose only. I have only 5 shares of HEG. Will I be eligible to offer my shares for buy back? Still record date not announced, to eligible for buyback u have to hold shares till record date. Even shares bought two trading days before record date eligible for buyback. What should be the price of HEG to be considered under retail category? Sorry guys, the above post is meant for Monte Carlo. Plz forgive me. So you have total 50 shares of HEG. On Record Date( Which is not announced) , if suppose the share price is 4200, then you will not be considered under Retail Category but you can tender your share in General Category. Now next question, whether all your shares would be accepted? This will depend upon Acceptance Ratio. if record date is not announced can the company cancel buyback. What if the market tanks and then they cancel the buyback. Don’t compare HEG with PC Jewelers. PC Jewelers do not have the cash to pay back interest properly to the banks and company was doing a buyback. In case of PC Jewelers , their lenders i.e. Banks have not allowed them to go for buyback at the final stage. Though ethically company never cancel buyback once Record date is announced. 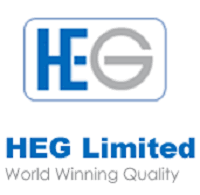 HEG is a cash-rich company with ultra positive business outlook plus their management is good. Vinay, the right answer to all your questions would be known in about 4 to 5 months. Till then everyone will speculate. You should have maximum 36 shares (200000÷5500) as on record date( to be declared) for retail investor, otherwise you have to be categorise in general category. Bro if the CMP on record date is less than 5500 which 99.9% it will be then shares held could be more. 36 is the ideal case scenario(safest route) to be considered under retail category. Promoters intend 2participate in buyback. in the comments section it was mentioned that by mistake 1 got omitted, is that correct. Thanks @Market Wizard, I saw your comments, you reply on almost all queries in detailed level and I’m learning something your comments. Why would HEG management spend(to purchase something ) Rs. 750 in buyback. Let us see if this would be a trap like Mphasis where every large investor wanted to sell. Or euphoric like TCS where everyone wanted to buy before record date. The company is planning for expansion of Graphite Electrodes and related products capacity by 20,000 tonnes per annum (TPA). Macquarie has maintained outperform call on the stock with a target at Rs 5,823 per share. According to Research house, the announced capex of 1200 cr will increase the company’s growth visibility. It expects only a moderation of margin in FY20, while current upcycle is continuing. The high payback to investors should drive re-rating, it added. The No. of shares reserved for Retail Shareholders is 2,04,545. So on that basis, the AR would be close to 7%. This is all the initial calculation. Things will change and evolve as we move. However, I feel downside in the share is very small from current market price due to cheap valuation. The sector outlook is good. Many brokerage houses have given a target of 6000. So no harm in buying HEG for an investment purpose and meanwhile whatever shares get tendered in buyback would be an icing on the cake. Hi, But as per share holding pattern for Sep 2018; The Individual share capital upto Rs. 2 Lacs is 44,91,393 shares, the percentage comes to 4.55%. Please let me know, if any thing needs to be considered. Thanks. Please understand this figure gives the total no. of shareholders who are holding shares between 0 to 20000(200000/10). However, for retail category calculations we want number of shareholders who are holding shares between 0 to 36.Hope u got the point. so i think the acceptance ratio would be considerably more than 7% maybe in range of 25% considering some investors will buy this for buyback purposes. You are 100% Correct. However, such data is not available anywhere except with the company. The Company provides this data via Letter of Offer which defines entitlement, till then the calculation of AR is somewhat not correct. Hundred only) per Equity Share (hereinafter referred to as the “Buyback Price”).